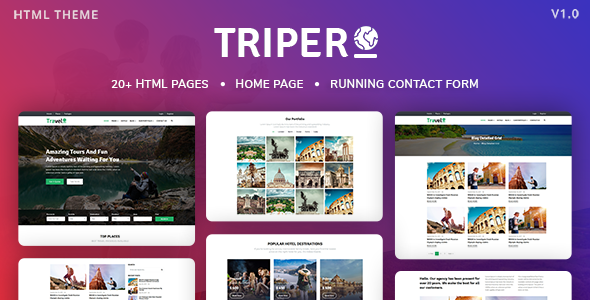 Triper – is a responsive HTML template with clean and elegant design, it has nice color combination. 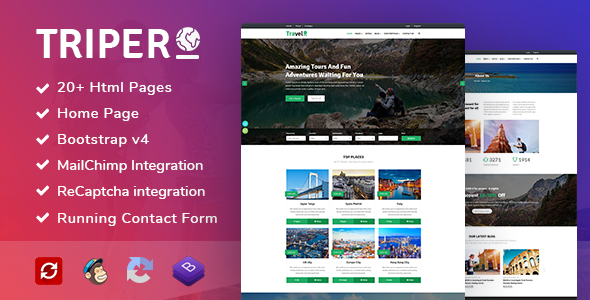 Triper is a clean and complete Hotel Online Booking HTML5 Responsive Template for tour / travel agencies. 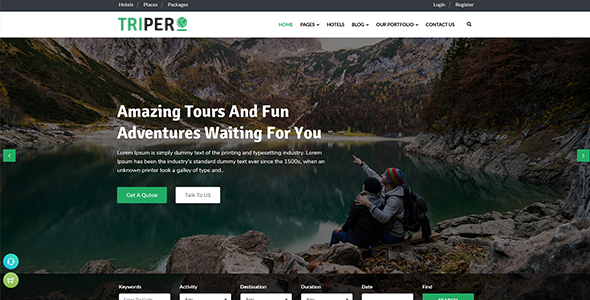 Triper is a clean and complete Hotel Online Booking HTML5 Responsive Template for tour / travel agencies. 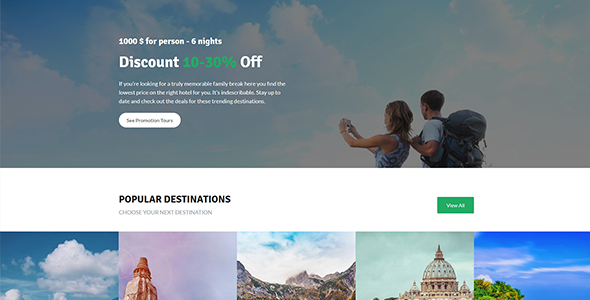 Modern admin dashboard design included and more others. 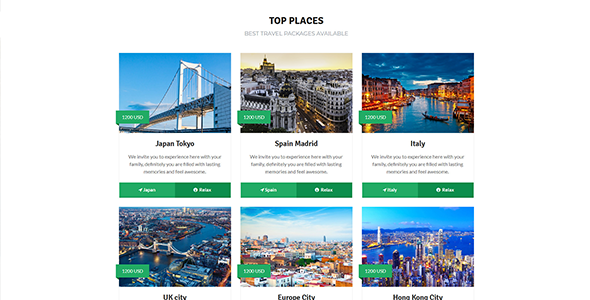 Send your queries on https://w3itexperts.ticksy.com for any issues or problem you are facing regarding this product. 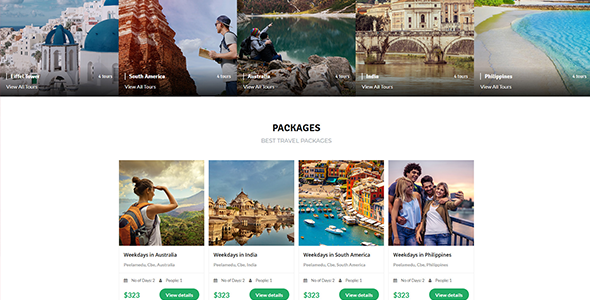 Note : Images used in the demo are not provided in download package.